 We at PDM University, Bahadurgarh, Haryana respect the privacy of everyone who visits this website and are committed to maintain the privacy and security of the personal information of all visitors to this website. Our policy on the collection and use of personal information and other information is outlined below. To provide information or interactive services through this website, to your e-mail address or, where you wish it to be sent by post, to your name and postal address. To contact you in relation to those services offered on our website. To process applications submitted by you. We will not share, either within PDM University, Bahadurgarh, Haryana or with a third party, any information collected at this page for direct marketing purposes. Because of the nature of the Internet, we may transmit the information for storage, or for carrying out the processing intended, but we do not provide or use personal information to unrelated businesses for direct marketing purposes. To the extent required or permitted by law, we may use and disclose personal information in connection with security related or law enforcement investigations or in the course of cooperating with authorities or complying with legal requirements. We may also remove all the personally identifiable information and use the rest for historical, statistical or scientific purposes. By using the site for the purpose, you are voluntarily releasing information to us. Your e-mail address will be used by PDM University, Bahadurgarh, Haryana to respond to you. We will not use the information that can identify you, such as your e-mail address, for direct marketing purposes. At this web site, information sent by your web browser, may be automatically collected. This information typically includes your domain name (the site after the @ in your e-mail address). It may also contain your user name (the name before the @ in your e-mail address). Other examples of information collected by our server include the Internet protocol (IP) address used to connect the visitor’s computer to the Internet, operating system and platform, the average time spent on our website, pages viewed, information searched for, access times, websites visited before and a visitor visits our website, and other relevant statistics. The amount of information sent depends on the settings you have on your web browser; please refer to your browser if you want to learn what information it sends. We use the information to automatically receive from your web browser to see which pages you visit within our website. We use this information in the aggregate to measure the use of our website and to administer and improve our website. This statistical data is interpreted by PDM University, Bahadurgarh, Haryana in its continuing effort to present the website content that visitors are seeking in a format they find most helpful. If you would like to review or change the details you have supplied us with, or if you have any questions about our privacy statement, please contact us as specified.